The techniques ISR Instructors use to teach your infant or child are the safest most comprehensive and effective survival swimming skills available in the United States. If you have not done so already, please visit our award winning website: www.infantswim.com for history and program details. Come observe classes where children are learning. Watch with amazement how infants as young as 6 months are taught to rollback and float & children 12 months and older swim-float swim to attain the steps or wall. Lessons are scheduled for a consistent ten minute learning period five days a week, Monday – Friday. ISR offers one on one, custom tailored lessons to enhance the individual needs of your child. Our previously completed research during the past 36 years shows that this is the most effective way young children learn to swim and retain their skills. The ISR Program develops and refines aquatic survival skills throughout the first four years of your child’s life. First, if you enroll your infant between 6-11 months, your baby will have the opportunity to learn the initial survival technique of rolling back to a float for immediate survival (3-4 weeks). After age one, your baby should return to the program and learn to incorporate the basics of swimming propulsion, rolling back to float and flipping over to finish the swim to attain the steps or wall (average 3-6 weeks). After this technique has been stabilized by the instructor, your child will need periodic refresher lessons. This varies per child, average being 1-2 weeks every 6 -12 months. 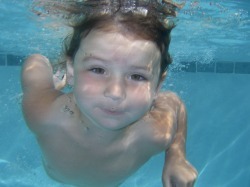 Refresher lessons are needed to maintain aquatic survival skills as your child’s body grows. Swimming is also built upon physical stamina, effectively maintained by practice. While pediatric drowning accidents rank as the leading cause of death for children in Florida, as well as 18 other states, there is a technology available to prevent this needless tragedy from occurring. Your first priority is to remind yourself and others that eyes on, constant supervision must be an intricate part of the game plan for ensuring the safety and well being of all children in and around the water environment. Secondly you must build layers of protection around your pool (retention ponds, lakes, river…) with fencing as well as door and gate locks. ISR offers the third layer of defense, which is to educate you, the community and the baby about a technique when taught properly, has as its foundation a gift to offer the safest and most effective way to prevent drowning to infants and young children. Infant Swimming Resource Instructors are certified yearly to maintain and update their knowledge both physically and academically for teaching this specialized technique. This training includes child oriented psychology, physics, behaviorism, physiology, CPR & first aid, as well as in water training. Only the best will do when it comes to the life of a child. Remember, drowning is a tragedy. Always supervise young children in and around the water at all times. I would like to encourage you to visit the web site, call and set a time to observe, & talk to parents who have put their children through the program. The more information I provide, you the parent with, the better understanding you have as to ISR’s strong commitment to help prevent an aquatic accident from occurring while at the same time teaching your child to swim and have fun in the water with a strong sense of respect for the water environment. Please feel free to call (904-794-5038) or e-mail (msmalota@aol.com) me with additional questions. I look forward to meeting you and having the opportunity to work with your child.